Looking for breezy tops that can be worn year-round? 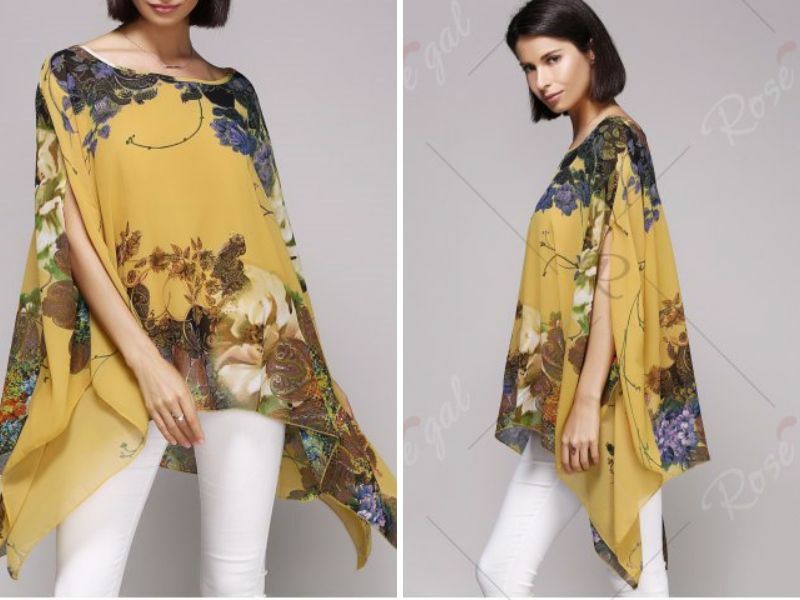 Batwing blouses, also known as dolman sleeve tops, are perfect for all body types, as the wide-cut sleeves help to draw attention away from the arms and towards the waist. Available in a variety of styles, designs, and fabrics, batwing women’s tops can be worn everywhere — from work to social outings. Browse this list of 10 batwing sleeve tops for chic and elegant options to wear from spring to fall. This salmon-colored batwing top is ideal for covering up the upper arm and drawing attention to the waist. With a draw-string tie at the waist, this blouse can easily transition from work to play. Simply pair with a blazer and slacks for the office, or wear with jeans and sandals for a casual daytime look. Make a lasting impression in this dramatic batwing sleeve blouse in airy chiffon fabric. With swirling floral designs at the neckline and hem, this canary yellow blouse is perfect to wear in spring and summer. Pair with ankle jeans in a neutral shade, such as white, tan, or navy, to add balance to this voluminous look. 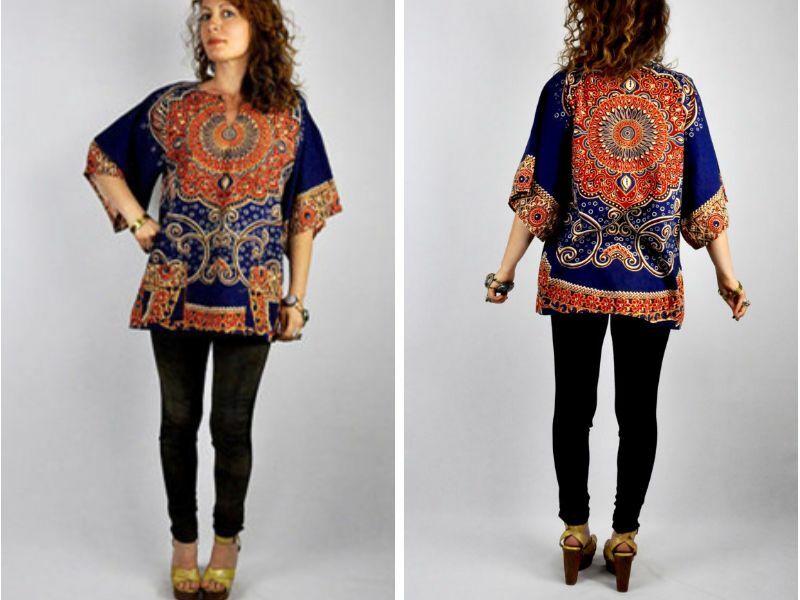 Go boho with this ethnic and colorful printed blouse. One of our top choices for batwing women’s tops, this vintage tribal blouse surely packs a punch. The intricate details of this blouse make it truly one-of-a-kind, while the dolman style makes it fashionable for the season. Pair this top with a simple pair of black jeans, and let the blouse steal the show. 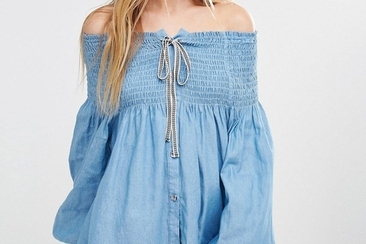 This sensible batwing style top can be worn off-the-shoulder and comes in a plethora of colors. Available in various shades of blue, red, pink, purple, grey, and beige, this top features a very understated dolman long sleeve with tapered fabric at the wrist. Wear off the shoulder for a stylish daytime look, or pull the sleeve up and pair with a cardigan and slacks for a work-appropriate look that can be worn year-round. Look pretty in pink with this feminine and flattering satin top. Embroidered details enhance the V-neckline, while the short-sleeve batwing sleeves add the perfect amount of drapey-ness to this blouse. An elastic waist helps to add structure and form to this flowing top, which can be easily worn for a variety of purposes. Bring some fashion into the office with this tailored-like Vince Camuto batwing sleeve blouse. In black and white color-blocking, this top is simple yet elegant. The long sleeved dolman style is perfect for concealing the arms, but leaves just enough wrist space to show off your watch or bracelets. Just pair with a pencil skirt and heels, and head out the door. 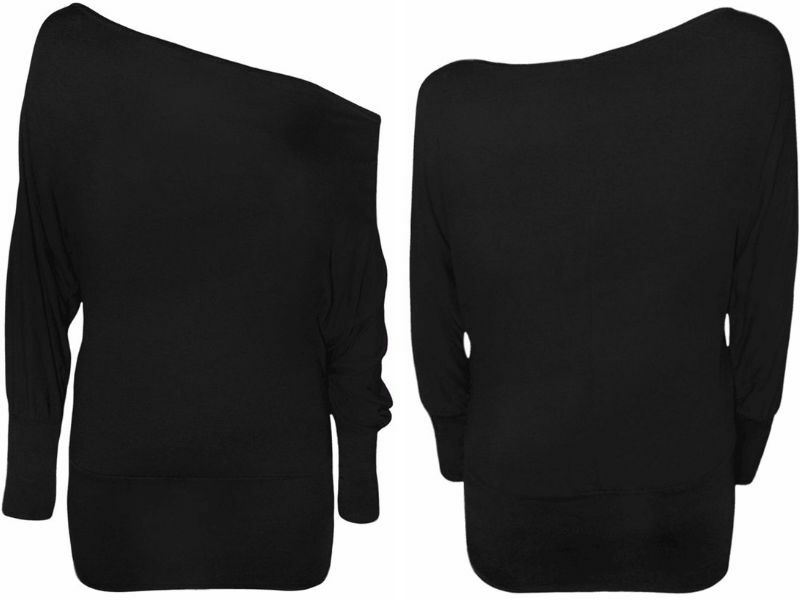 When it comes to workplace style, this is a no-brainer in batwing women’s tops. 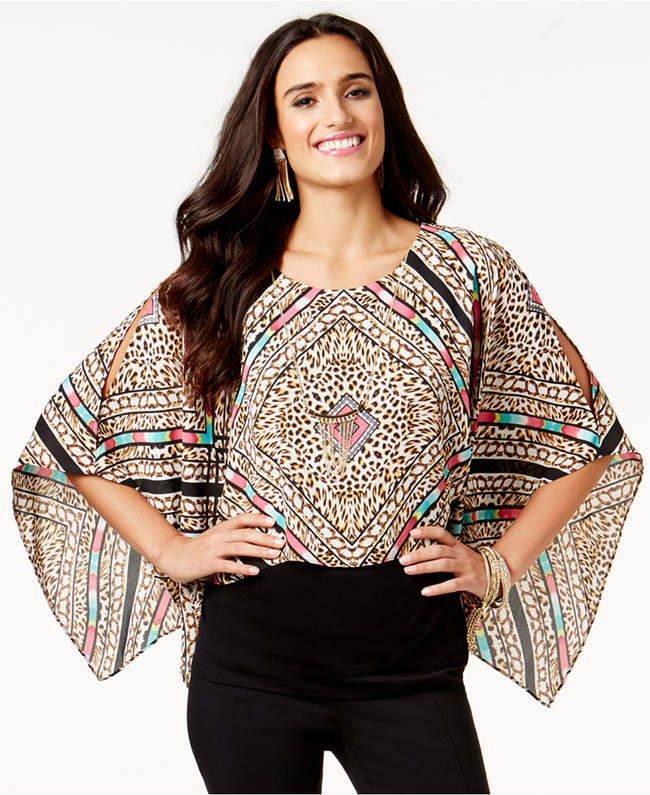 This leopard print top is a fun and colorful batwing option perfect for both work and your days off. Featuring a trendy cold-shoulder cut-out and long batwing sleeves, this blouse oozes carefree style. A tapered waist helps to balance out the dramatic sleeves. You’ll only find this blouse at Macy’s, so jump on it while you have the chance! 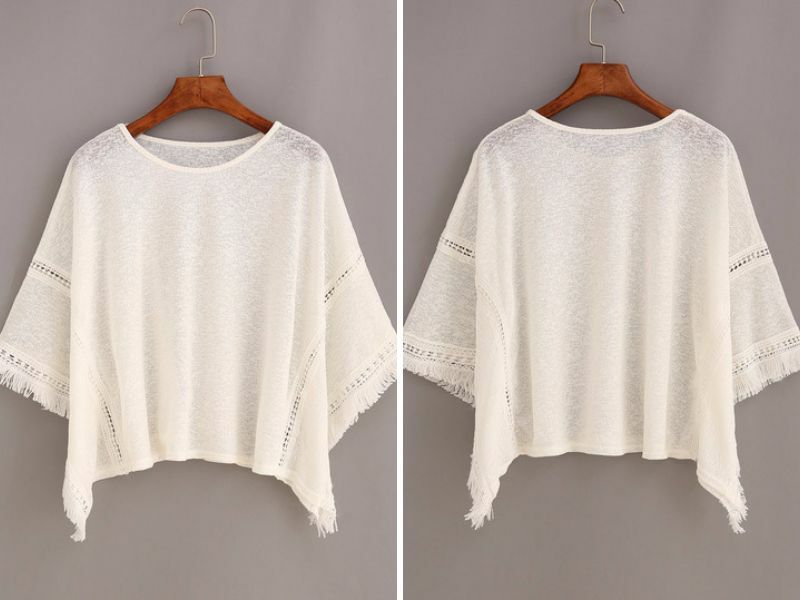 This seemingly simple white top is much more than meets the eye. With lace inserts at the sleeve, frayed edges at the hem, and stylish dolman sleeves, this wide-fitting top screams effortless spring and summer style. This poncho blouse is the perfect layering piece — wear with jeans, skirts, or shorts and plenty of statement jewelry to achieve a boho look. Show them you take your batwings seriously with this Dollskill top. With long dolman sleeves that hit at basically the waist, this top is cool and casual and drapes at all the right places. This is a great option for batwing women’s tops, as it can be easily matched with jeans or shorts and your choice of chucks for a no-nonsense weekend look.